Mystery Photo: Who are the Bride and Groom from Oakland? This wedding photograph came my way a few months ago. The photograph was taken around 1910-1915 in Oakland, California. We do not know who the bride and groom are but there are some clues. Could this couple be Jose Andrew Medeiros and Bertha Pacheco? 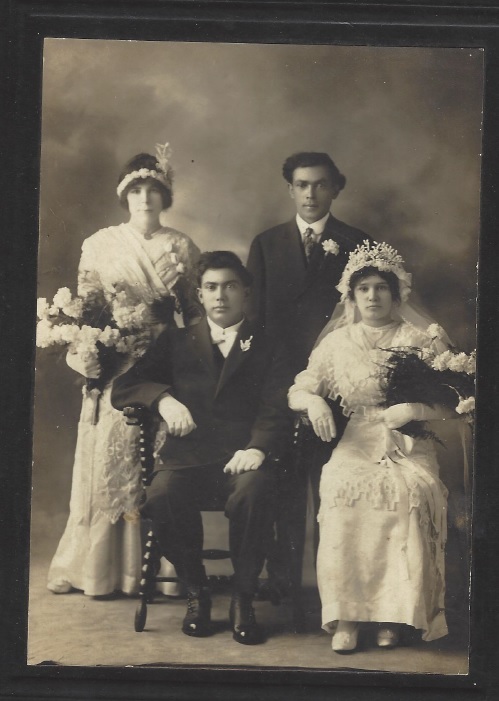 The brides headdress is very similar to one worn by many Pacheco women between 1910-1920. This is Luiza (Pacheco) Medeiros wearing one that is very similar. 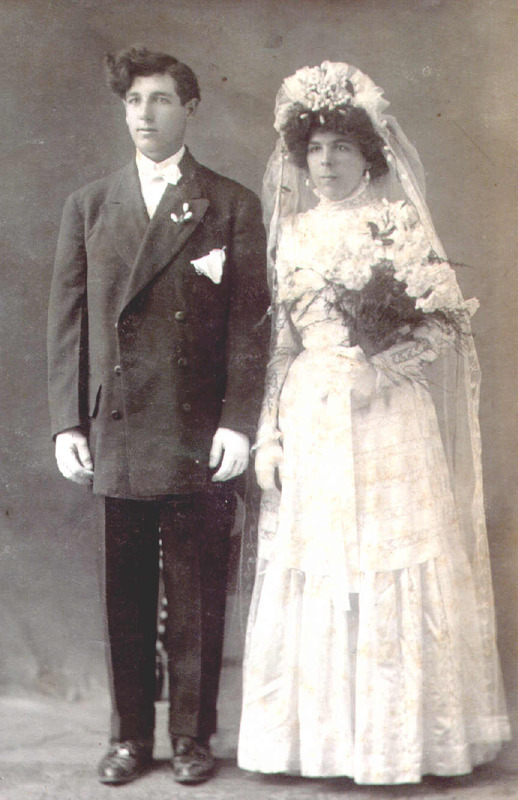 Luiza’s sister, Bertha, was married during this period. The groom bears a striking resemblance to Jose Medeiros, aka Joe Medeiros Andrew, seen in this photo several years later. Could Jose Medeiros be our groom? 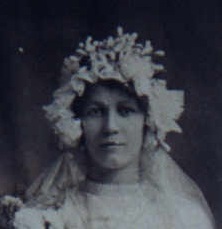 The maid of honor has a resemblance to the woman in this photograph, Angelina (Vierra) Pacheco who married Jesse Pacheco. Jesse was Bertha’s brother. Angelina’s sister, Shandra Vierra married Jose Medeiros’ brother, Manuel Medeiros. It seems reasonable that Manuel and Shandra would be in the wedding of Manoel’s brother and Angelina’s sister-in-law. Does the maid of honor resemble Angelina (Vierra) Pacheco? It is my belief that the bride is Bertha Pacheco, daughter of Manoel Pacheco and Jacintha Rosa Moniz. The headdress points to a relationship to my Pacheco kin. Bertha would be of the right age. I believe the groom is Jose Medeiros, aka Joe Medeiros Andrew. The resemblance to the photograph taken about 1950 is uncanny. If we can prove the groom is Jose, then by process of elimination, we’ve got Bertha. There aren’t any known photographs of Bertha, so I have no idea what she looked like. As she died in the 1940s, those who could give us a description are no longer alive. 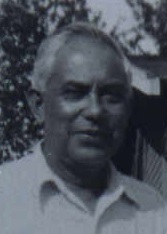 There are no other photos of Jose except the one taken around 1950. Can I say without a doubt that the man in the photograph from ca 1950 is this groom? This photograph has been passed around to relatives. While we all have opinions on the matter, we have no proof. Do you think the groom looks like the man in the later photograph? If you are related to the Andrew Medeiros clan, I’d sure love to hear from you! I have yet to find Manuel and Shandra’s kin. Maybe they hold the key to naming the faces in this wedding photo.